The IS militia is believed to have deported at least 130 families in the eastern Syrian province of Dair as-Saur. 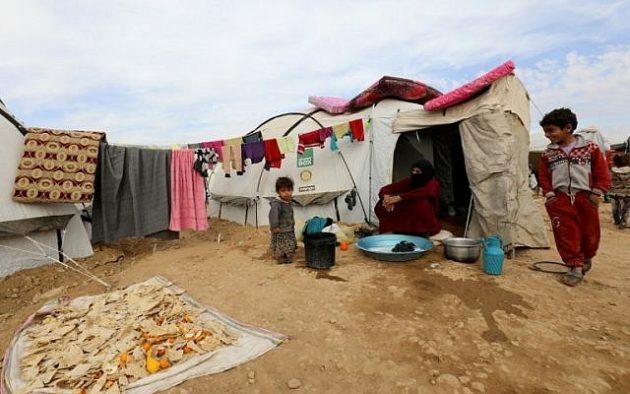 According to observers, the Islamic State (IS) has kidnapped at least 130 families from a refugee camp in the eastern Syrian province of Dair as-Saur. The IS had raided the camp, where mostly women lived, reported the Syrian Observatory for human rights on Saturday. After the surprise attack, the abductees were taken to an IS controlled area east of the Euphrates River. Circles of the opposition “Council of Dair as-Saur” said that hundreds of people had been kidnapped, including 23 fighters of the Kurdish-led Syrian Democratic Forces (SDF). For almost a month, the SDF and supporters of the IS fierce were engaged fighting in Dair as-Saur. The US-backed SDF had played a crucial role in driving the militia out of eastern Syria, home to the Islamist stronghold Al-Rakka. Meanwhile, the IS fighters have retreated to smaller places in the Syrian-Iraqi border area.